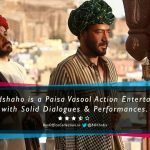 After a strong opening weekend at domestic box office, director Milan Luthria’s latest offering Baadshaho is heading steadily in weekdays. Due to positive response, the movie is attracting good amount of audience toward theaters despite running in normal working days. Based on an interesting plot of gold heist set against the backdrop of 1975 during the time of Emergency in India, Baashaho stars superstar Ajay Devgn, Emraan Hashmi, Vidyut Jammwal, Ileana D’cruz, Esha Gupta and Sanjay Mishra in lead roles. As per critics, all the leading actors have given solid performances. On the opening day, T-Series Films & Vertex Motion Pictures’ presentation got good start on single screens as well as multiplexes and did the business of 12.60 crores from 2800 screens across the country. With this, the movie has registered the 7th highest opening of the year and 2nd highest of Ajay’s career so far. On the next day i.e. 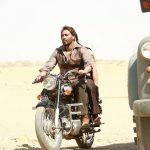 Saturday due to Eid holiday, Baadshaho reported fair growth and minted the amount of 15.60 crores. While on Sunday it remained little lower and raked the business of 15.10 crores. After the weekend, total collection of the movie was recorded as 43.30 crores. Now this action historical drama is running in weekdays and asusual getting lesser footfalls in theaters than before, but still has good hold over the audience. On Monday, it bagged the amount of 6.82 crores with around 43% of drop than Friday. 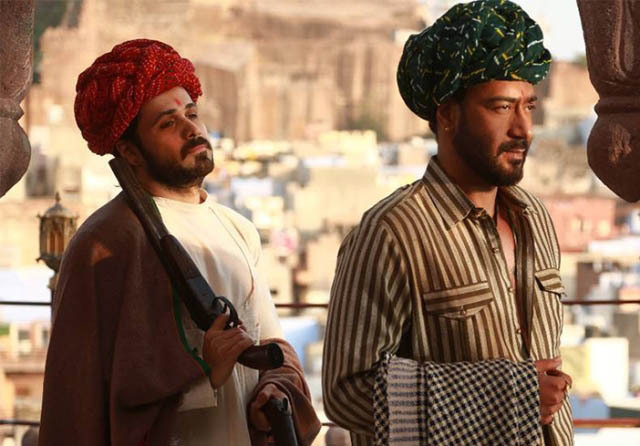 Then on Tuesday, Baadshaho witnessed further drop and garnered the business of 6.12 crores. With this, total 5 days collection of the movie has become 56.24 crores at domestic box office. It seems to collect near about 67 crores nett. by this week.